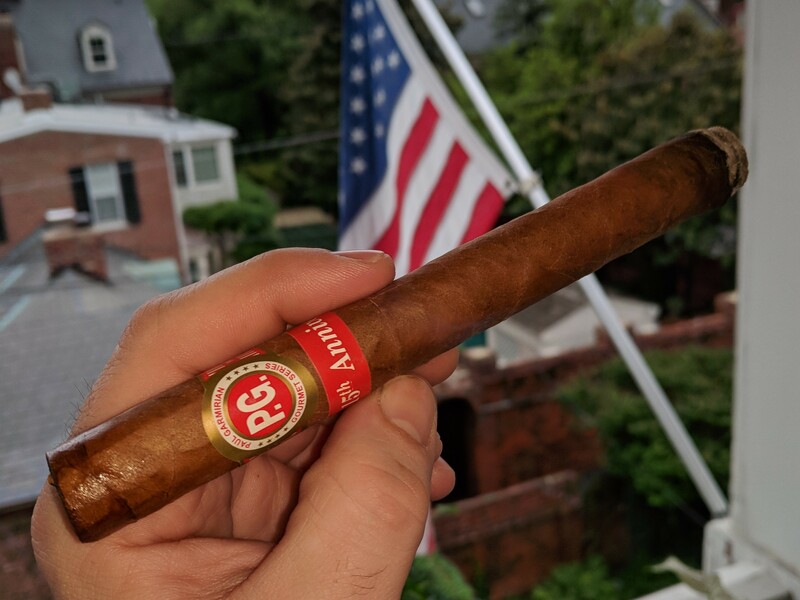 Paul Garmirian’s 15th Anniversary Belicoso Extra (6.75 x 52) makes my short list of all-time favorite cigars, which is probably why I’ve rarely smoked the similarly sized Churchill (7 x 48). The cigar, made by Davidoff in the Dominican Republic along with the rest of the Paul Garmirian line, features a Nicaraguan wrapper and aged filler tobaccos. There’s a Burgundian characteristic that comes through in the cigar: light tannin, red fruit, with musty wood that would remind you of an old wine cave. It’s a flavorful blend, but also exquisitely balanced. A real treat, even with it’s premium ($17) price tag.